Secondary bone cancer. 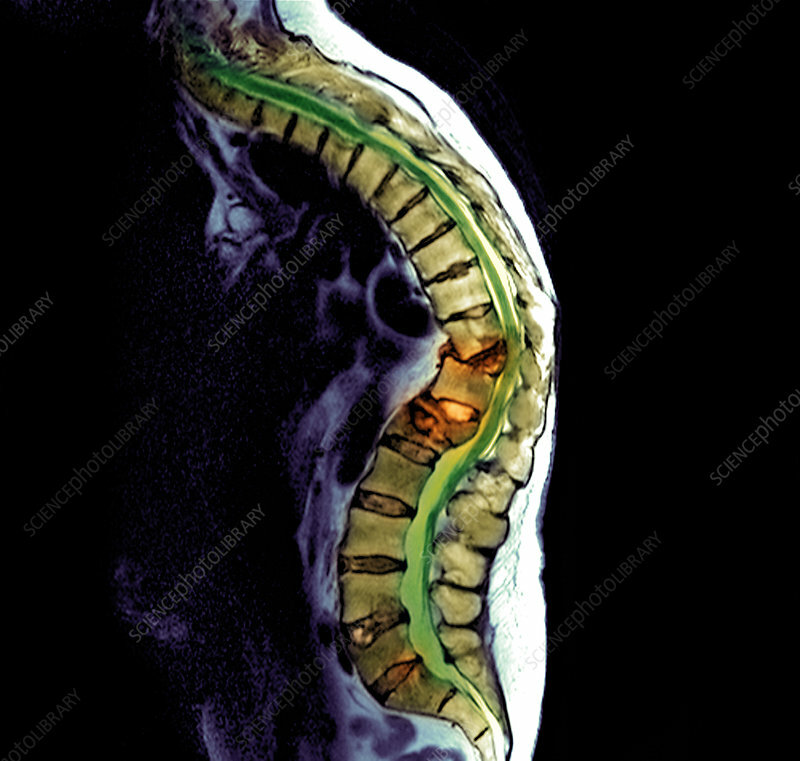 Coloured magnetic resonance imaging (MRI) scan showing a 70-year-old woman with malignant (cancerous) tumours (yellow) in her spine. The tumours have metastasised (spread) from a primary cancer of the breast. The cancer has affected the middle back (thoracic vertebrae) and lower back (lumbar vertebrae) as can be seen with the total collapse of the vertebrae at centre (T10, T12 and L1). This has resulted in the abnormal curvature of the back and pressure on the spinal cord. In this case the patient was rendered wheelchair-bound as the condition makes it very difficult to stand upright. Treatment is with a combination of chemotherapy and radiotherapy.